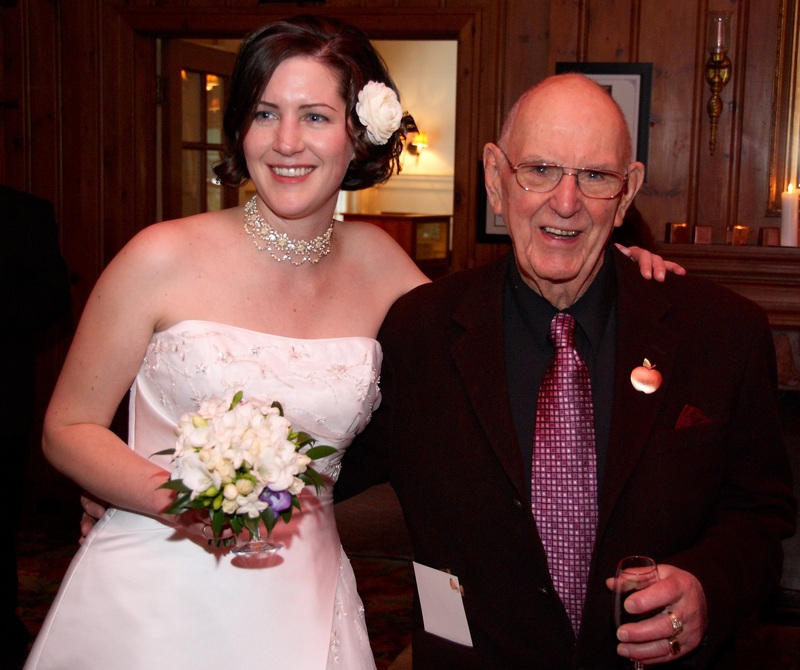 My beloved grandpa Les has died. I’m sad and the normal contentment in my life is darkened. 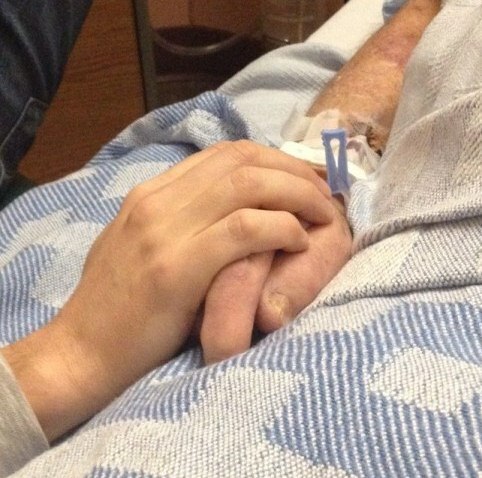 It’s hard to believe that he isn’t here to provide the foundation to our family. His life overflowed with laughter and love but he knew loss and grief too. Friends and family are invited to attend a memorial service on Friday, March 21, 2014 at 2:00 pm at First Memorial, Boal Chapel, 1505 Lillooet Rd. North Vancouver, BC. Donations may be made in memory of Les to the Burnaby Hospital Foundation, himself a contributor for over 25 years. You are welcome. 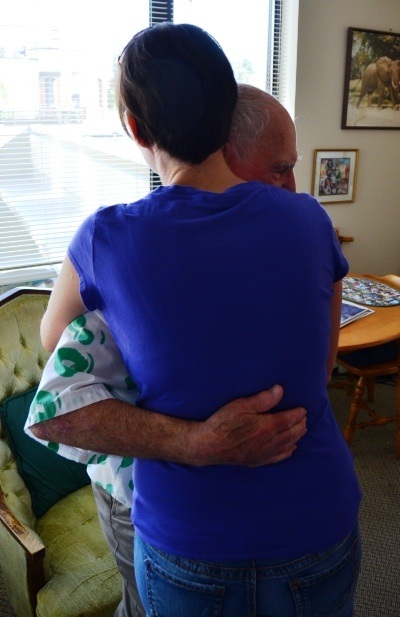 Extra-Ordinary March 15, 2014: Grandpa’s unconditional love permeates our family. His gift of knowing what love is passed from him and his wife to my mom and uncle. From my mom to my Dad. From my mom to me. From me to my husband. Grandpa’s love comes full circle. It’s mid April already. May is coming. I don’t like May. Although relatively superstition free, a part of me believes that if something bad is going to happen to me, it is going to happen in May. I’m quicker to tell Emile to drive carefully, less likely to engage in risky behavior (um, well. . . not that I normally do, but the likelihood of it goes down even further), and generally try to keep my head down until month end. You see, my dad died in May and my mom fractured her skull – almost dying – in May. And along the way, other bad – but less defining for me – things have happened in May. When I lived in Midland and driving to Port Carling for work, there was memorial to a young man on the side of Highway 10. I don’t know the story, only that there was a graduation picture of him and the name “Benny” written on the 10 inch cross. I assumed he died in a car accident on that spot. There was a large collection of things – weather worn, but changed seasonality. At Christmas, a wreath showed up, in the summer flowers came. A laminated poster board with pictures wilted in the rain. There even was a little bridge built to enable people to walk across the ditch. Occasionally, I’d see his mother (presumably) maintaining the area. Every time I saw her, I wanted to pull over and talk to her. But frankly, I didn’t have the guts to. I didn’t think she’d want to hear what I had to say – or whether I would have the words to say it. Because I wanted to tell her that her son didn’t live here on the side of the road, this is where it ended. Create a memorial where he lived, a scholarship, a new facility, something that others could remember how he lived. Not where and how he died. If you need to know he will not be forgotten, then work towards that in the way you think Benny might have. And as I thought of the impending start of May this year, I realized to a certain extent I do the same thing. I worry about May, relive all those bad things that happened to me, worry about what will happen next and on focus on the worst parts. I know I always will think of my Dad on the day of his death and I don’t want that to change. From all the stories and memories of my Dad, he was interested, engaged, social, and appreciative. Why do I not celebrate that? My mom believes that people are the most important thing in life. Why not remember that in May? It is time to Take Back May and with a 30 day challenge and try to associate it with some positive memories. I have some ideas on what this challenge will be, but I would love to hear your suggestions on what I could do! April 17th, 2012 Extra-Ordinary: Realizing that the lessons I have to teach, I need to learn myself first.